Ostrich Pillow is great for power naps. Just tuck your head and arms into its cozy “cocoon” and you will be able to comfortably sleep wherever you are. This neck pillow was created by Studio Banana Things. They wanted to create pillow which can be used anywhere. Whether you are traveling, are at home, or simply need to find a space to crash, you need an item that will help you put your head down for a few moments. The travel pillows that wrap around your neck are inadequate because they do not provide you with the support that you need. A regular pillow is inconvenient to carry around due to the size. And that is why Ostrich Pillow was made. This pillow isolates the head and the hands comfortably so you can relax and replenish. 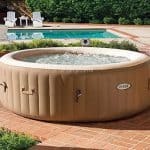 It is great for people who frequently travel or want to take sleep in uncomfortable places. 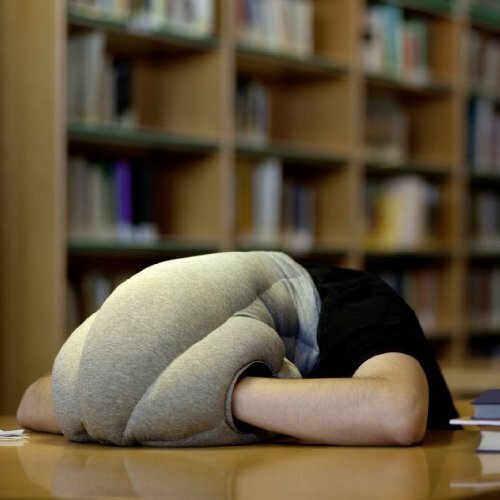 The dorm, the desk, or home, the Ostrich Pillow is like that comfy old sweatshirt you just can’t part with. The Ostrich Pillow is a pillow that has in mind napping on the go. With this product, you are able to enjoy a quick rest anywhere. It can be a car, bench, chair or any place where you can gain some moments to rest. What most people love about Ostrich travel pillow is that it is made out of high-quality materials. It is also designed well, and it can be taken anywhere. Except for standard Ostrich pillow version, there is also Ostrich pillow light and Ostrich pillow mini depending on your needs. 1. Nap anywhere – You are able to nap in most places. The product makes it easy to get some shuteye for at least a few minutes. 2. Enhanced productivity – Napping increases your productivity levels by 34%. 3. Comfortable – The Ostrich head pillow prevents common neck and back pain that accompanies sleeping in the wrong positions and places. With this neck pillow for sleeping, you get the support that you need to sleep well. You also won’t wake up with structural problems. 4. Soft material – The pillow is made out of soft and comfortable materials so that you can sleep easy and so that your skin can breathe well. The material does not cause any irritation or discomfort. 6. Washable – The good news is that the material can be cleaned with soap and warm water and then left to air dry. There are specific cleaning instructions on the product so that you can do things correctly and not damage the material. 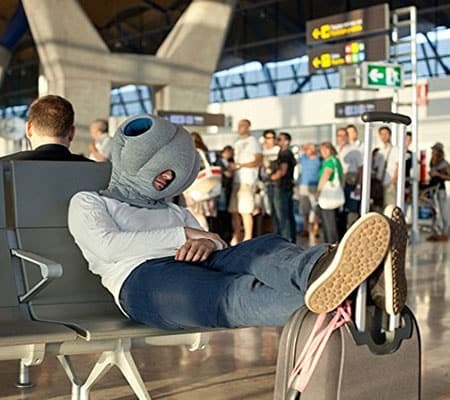 Nap anywhere with the Ostrich Pillow! You might look funny, but at least you'll be asleep! You definitely won’t have to worry about a chatty seatmate if you’re wearing this on a plane or train. Also, nothing tells “rob me” like essentially wearing a bag over your face while in public. You’ll have no peripheral vision while wearing this, so you won’t be able to spot any danger coming your way. It’s also surprisingly cozy and good at blocking out light and noise. The holes give you a place to rest your arms, and you could use it to sleep face down on a tray table. The sweatshirt-like material cover is warm and comfortable. You will definitely attract a lot of attention while wearing this. Although the pillow is squish-able, it will still take up a lot of space. Should You Buy Ostrich Pillow? To enjoy a comfortable nap that provides you with the full support that you need, the Ostrich Pillow may just be the right product for you. This pillow allows you to sleep in virtually any position that seems comfortable at the time, and that includes desks or tables. This versatility is really nice and its soft fabric and microbead filling are comfortable. It may be worth the price to some for the quality and thought put into the pillow’s design. 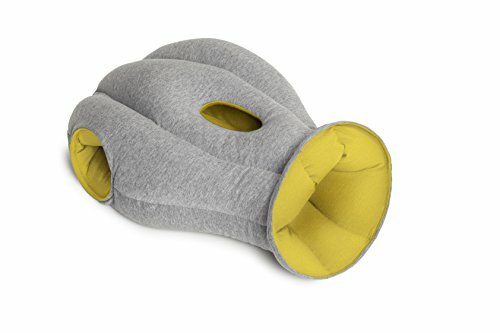 Overall, the OstrichPillow is a high-quality, well-made, and interesting product that can be used to get a power nap. This pillow allows you to sleep in virtually any position that seems comfortable at the time, and that includes desks or tables. This versatility is really nice and its soft fabric and microbead filling is very comfortable.The pillow is so unique and very comfortable for rest, but idea of wearing it in public is overwhelming. Ostrich Pillow will generate attention if you wear it outside the home. If that doesnt matter to you, this pillow is great choice to buy.